AADI is involved in providing data on career guidance centres who give instruction on topic of expertise with counseling techniques that support clients in making complex decisions and facing difficult situations. The focus of career counseling is generally on issues such as career investigations personal career. To improve the quality of education among the tribal children we provide them with a better ambience for study by running study centers in their own villages in and around Attapady. We have seven such study centers now in places like: Umathampady, Vattalacky OLH, Nallasinga, Dasanur, Marapalam, and Karayur. All the centers are in full swing and children are very active and enthusiastic to come to the center. Martial arts training is also given as a part of buildout of people in Attapadi. The martial arts propose many benefits as it can help the children to get active, fit and healthy. The students will learn to find focus, stillness and to take hits. They will fasten their mind and body and gain self confidence and self respect. 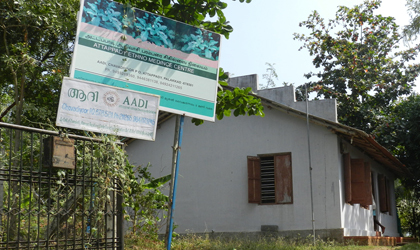 AADI takes a major role in promoting ethno-medicine through adivasi vaidyas. Ethnomedicine is a system that applies both art and science to help the human body to reinstate its health and wellbeing. This utilizes natural remedies to initiate the immune system. Herbs are used for cleaning, elimination and detoxification.Some are used to restorative the body’s self healing capabilities . The other activity performed by AADI is the vocational training for employment. It is a study program actually designed to train the people of Attapady to be a better electrician. Electricity, if not positioned correctly, causes fires and electrocutions. The best instructor is appointed for training the individuals. They are also prepared for an electrician examination which is a test of one's understanding of the electrical industry. Another important task performed under adivasi development plan is the promotion of culture and identity of people. The initiatives for development bring changes in the minds and activities of people. These avoid dissension between individuals, establish and promote relationships of respect and love with all the people and thus build peace among them. This is a new venture for children who come to our study centers to explore, exhibit and fine tune their creative talents. Students come together on all the Saturdays and it becomes a platform for them to develop their confidence and artistic skills. To help them come out of their self, the staff offer informative and useful input sessions on various social skills with lot of practical applications. Under the banner of Taru-Mitra, we take along the children of the area to Promote and protect the environment of Attapady. To inspire and educate the children we regularly visit different schools in the locality. Taru-Mitra Day, an annual event organized by AADI, brings together more than thousand students to our campus for one full day for environmental activities. ERA, Eco Reserve Attapady, is another off shoot from the family of AADI concentrating on revitalizing the lost green diversity of the area. Serious effort has been made to plant more tree saplings to gradually make it forest. As Attapady faces a number of serious health related issues including death of infants due to malnutrition, sickle cell anemia etc. We realize that we have a great role to play. With a view to address this serious problem of the health of the adivasis we run an indigenous health center, Adivasi Parambaria Chikilsya Kenthram, which is slowly flourishing with two experienced vaidyars at present. Joining hands with Palliative Care Society we visit the bed-ridden and chronic patients, cancer affected and help them to be hospitalized and provided with all medical care. In today’s globalized world working for social justice cannot be successful unless we collaborate and network with people who share our dreams. So we net work with the following NGOs: JEEVANA (Calicut Social Service Society) and now Sultanpet Multi-Purpose Social Service Society (SMSSS), TAMBU , Palliative Care Society, PSSP-Palakadu, JSS, Adivasi Samara Samathi, Anti-Corruption Peoples Movement (ACPM), NAPM ( National Alliance of Peoples Movement), Green community, Neethi-Vedhi, TUDI, ISI-Banglore etc. Information and Career Guidance Center. 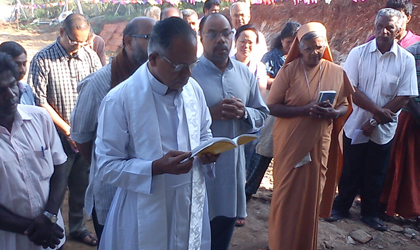 Blessed by the Jesuit Provincial Fr. Joseph Kallepally SJ. 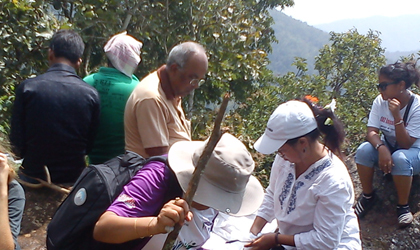 AADI-Tarumitra is a Net work for students who are engaged in Ecology across the planet.